Line 1-7: language switch statement. In this turorial we implement the search pages in wordpress. Search is now a must feature for most well-built websites, especially for content-rich blogging sites. Getting search input with a search form. In ModernBlackHand we will customize #1 and #3 without touching #2. (Customizing #2 requires advanced WP_Query usage). Line 7’s wordpress function get_searchform() includes partial template searchform.php that shows search form. In a later tutorial we will show how to display the modal search form through menu tab. placeholder="<?php echo esc_attr_x( $search_ph, 'placeholder' ) ?>"
These codes display different search prompt languages based on the user’s browser. Input area (line 11-16): place to type search term. Input button (line 18-20): button to press and execute search. action="<?php echo home_url( '/' ); ?>" (line 9) makes the form to access the home url when the button is pressed. value="<?php echo get_search_query() ?>" (line 14) gets the user search term via function get_search_query(). (line 14) name="s" together with value=search_term tells wordpress to add the home url in #1 with parameters “s=search_term“. #1,#2,#3 together tells wordpress to access the url http://your_home_url/?s=search_term when the button is pressed. 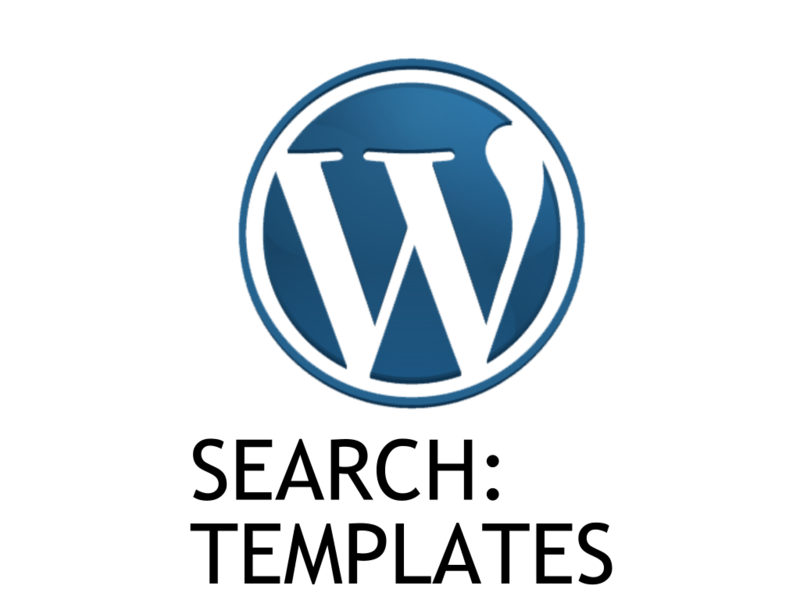 This triggers wordpress to do the search and display search results by template search.php. Line 19 and 22 is an HTML trick to use a button and an icon as the submit button for the form. This creates a string format based on browser’s language and stores it in paramater $my_search_txt. A string format is used by functions like printf(...) in line 20 to create strings by combining a string format and paramaters. See this tutorial for using parallax image effect. Line 20 displays the header title by a string format, the PHP function printf(...) and user’s search query (via function get_search_query() ). Here we again use the Loop to display search results: for search wordpress automatically puts the resulting pages and posts into the Loop. Unlike category.php , the default wordpress search behavior looks for both pages and posts that contain our search term. Since we only want the posts, we skip displaying the page content via line 31: <?php if( $post->post_type=='page' ) continue; /*ignore page */ ?>. Other codes in this loop are similar to that in category.php. See this tutorial for using various wordpress template tags.